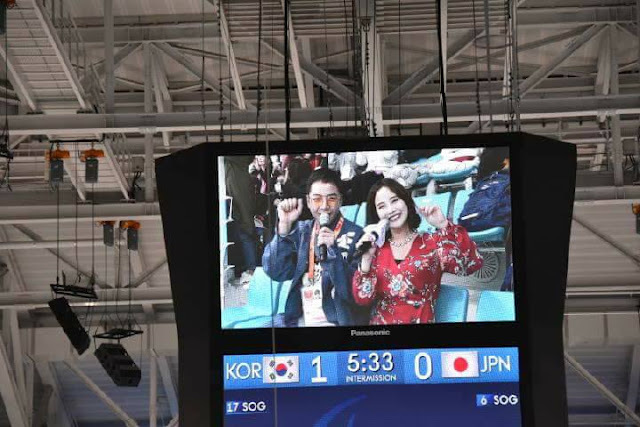 During the Ice Hockey half-time, JKS was briefly interviewed by Hanna Kim. The interview was broadcast in the stadium. The three video files below are the same interview, but may sound better or worse depending upon your equipment.